Yes, I know what you’re thinking (really, I do). “Wow, she is really running out of things to posts about, isn’t she?” Don’t feel bad, I don’t blame you. 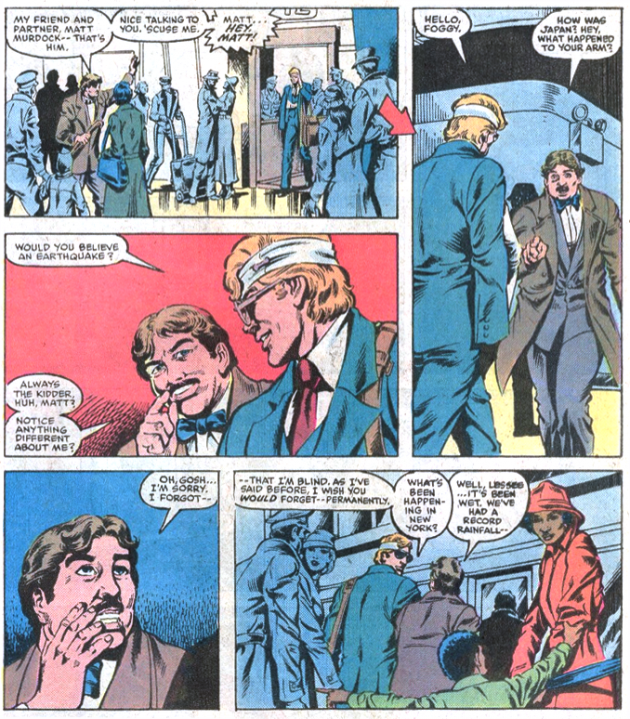 But this post isn’t a sign that the end is near, it’s more like proof that you can write a Daredevil post about almost anything. Man, will he stop pestering his blind partner with that darn mustache? 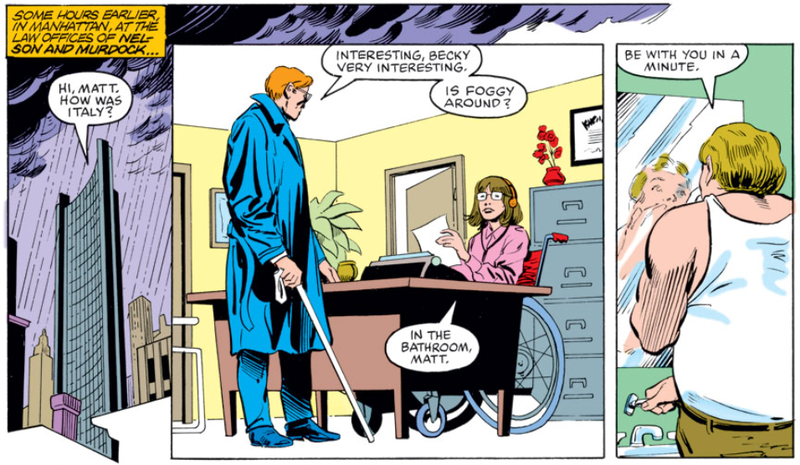 It seems very odd to me that Foggy would forget about Matt’s blindness when he’s hung out with him virtually every day for years. Even weirder is the fact that he gets totally embarrassed when he forgets. Matt’s not exactly the sensitive kind. 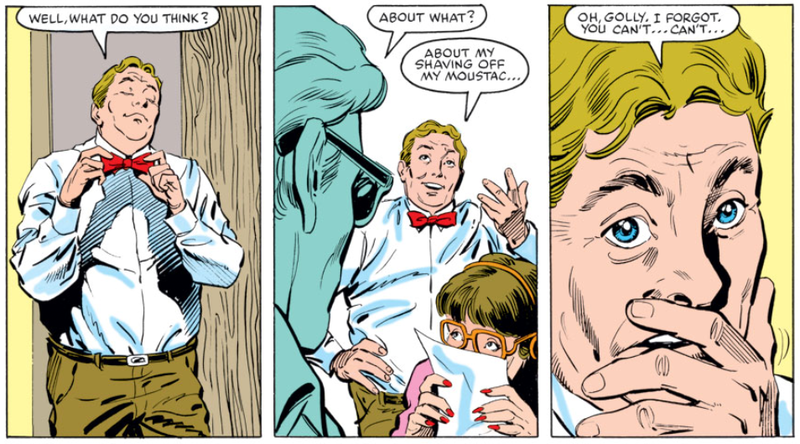 What we do find out here is that Foggy’s mustache was the result of his ex-wife Debbie’s influence (there’s another character I could devote a worthless post to). Matt really didn’t like Debbie. What he really needs is a better haircut! This a tangent, but it was nice to see Dakota North again. I hadn’t seen her since her 1980s series. Aaron, that is an interesting remark! I have a good number of siblings and even if we had to queue to the (only) bathroom, each one of us liked to enjoy her/his private moments without being disturbed. Considering that Dakota (that we know) only has a kid brother, her interruption in the bath looks a tad unpolite, even if Foggy was only shaving. That’s unproper for a working relationship, so, as you do, I wonder if… hum.